With 2015 receding in the rear-view mirror, it’s time to look at the road ahead for the next 12 months at Central Saint Martins. Here are a few choice dates for your diary together with some seasonal highlights. 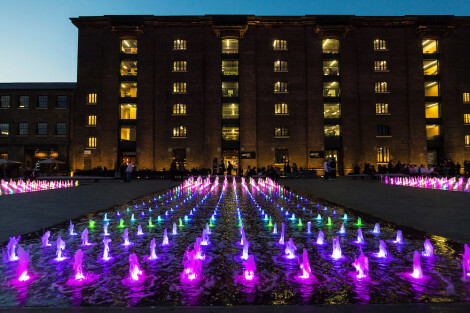 Keep an eye on the What’s On At CSM section for more details. This exhibition will showcase graphics produced by our female alumni and staff over the past century. The designers on show have made their mark not just in the graphic design world, but across all disciplines of art and design, demonstrating the diversity and endless possibilities of careers in this field. The show aims to present visual communication as both an accessible subject and an area of intellectual enquiry by showing research projects alongside client-commissioned work. Visit the exhibition’s blog to find out more. Our summer Degree Shows allow a first glimpse at the most exciting new talent across all Programmes as our students open up their work to the public for a series of free art, design, fashion, communication and performance exhibitions within the Granary Building. Lots of hard work goes into showcasing the creative stars of tomorrow, not only from the students themselves, but also from the team on the ground. While you wait in anticipation for 2016’s shows to come around, have a read of our 2015 interviews with our Health and Safety Advisor Niall Campbell, Degree Show builders Joe Plume and Sirisa Clark, and planners Matt Barrett and Jess King, to find out how it all comes together. Last year BA Performance Design and Practice student Liberty Antonia Sadler was awarded the prize for her work exploring 21st-century body politics through illustration and moving image. This year will be the tenth Postgraduate Art Auction organised by MA Fine Art students. It follows last year’s success when £31,000 was raised to fund the course’s MA Interim Show and Degree Show. Among the internationally acclaimed artists who donated work in 2015 were previous Turner Prize winners and Central Saint Martins alumni, Antony Gormley, Grayson Perry and Laure Prouvost, as well as Peter Doig, Isaac Julien and Nicole Wemers. For more information, keep an eye on the Postgraduate Art Auction website closer to the date and read more about last year’s Postgraduate Art auction.